When Paul Timmins joined the local subsidiary of the Global IT Service and Solutions business, it was not in good shape. Faced with significant operating losses, the Dutch parent demanded an immediate turnaround. The Senior Leadership Team had turned over substantially. The organisation lacked a sense of confidence in its own capability to deliver financial results, despite a good reputation with the customer for service delivery. Getronics Australia’s position in the highly competitive IT services market was evolving, but not well defined. The leadership and culture change strategy was, from the beginning, one of the most stable and credible reference point for the Getronics Australia strategic agenda. TAP engaged with the Leadership Team and the internal change team to accelerate a far reaching transformation. The processes we used focused on leadership effectiveness, clarified roles and devolved accountability and decision rights close to the customer, and moved Getronics towards a values based culture of performance. The People and Culture function was transformed into a strategic contributor to the change process. Jointly, we created a focus on developing an achievement oriented culture that focused on customers and financial performance. The Go to Market model was also reshaped, as new businesses were developed and grown, and others sold off to better owners. The organisation structure moved to a national, rather than regional model, as the organisation strived for better alignment with customer needs. Some hard decisions on costs and people were faced and dealt with constructively in a very competitive environment. Over time, there were very few aspects of the organisation that were not touched, changed and reshaped. Recently, the Australian business became part of the Australian UXC Group of companies. On all significant measures, Getronics Australia improved its performance on Leadership effectiveness, teamwork and leadership credibility. Staff satisfaction and motivation increased. Customer satisfaction increased, and new customers were acquired in a highly competitive market. Profitability was increased substantially. The common theme underpinning all this success was the unique platform of a constructive and responsive culture that encouraged people to step up to what was required. TAP promised a unique outcome at the beginning of the assignment that is rarely delivered by other consultants. TAP promised that they would transfer capability to Getronics Australia, so that the journey could be sustained. 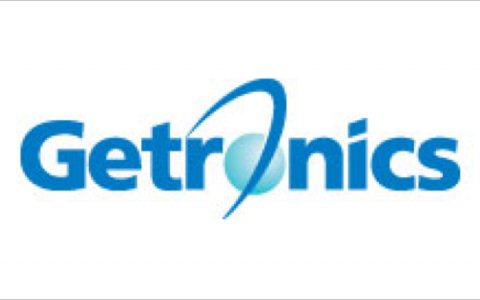 Having formally disengaged after four years of partnership, we are delighted that the process of transformation and improved performance continues through the Getronics Leadership Team and internal change team who continue to build on the principles of the original process. “TAP’s strategic approach to change and transformation has had a substantial impact on the behaviour of our people and performance at Getronics. With their help, we have achieved significant momentum for change and successfully differentiated ourselves in the market to potential customers based on our commitment to constructive culture and leadership. TAP have led an increase in the effectiveness and cohesion of our leadership teams as evidenced by a substantial shift towards constructive leadership styles. They have also accelerated our development toward the values-based organisation that is critical for our future success.